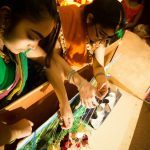 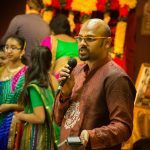 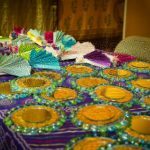 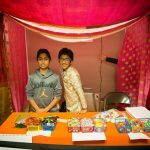 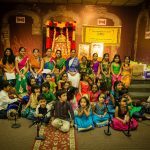 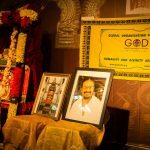 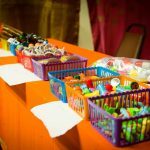 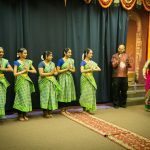 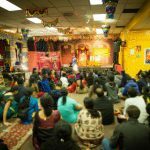 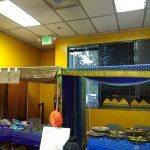 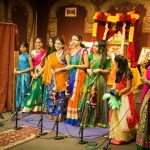 ‘Krishna Bazaar’ an unique event conducted by Seattle’s Gopakuteeram kids was conducted at VEDA Sri Venkateshwara Temple in Redmond,WA on Saturday, December 2nd 2017 from 4pm-6pm. 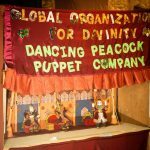 Indian puppet show performed by Gopa kuteeram kids was well acknowledged by more than 100+ audience. 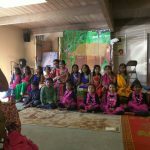 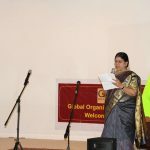 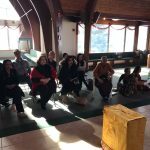 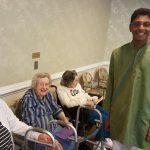 Kids and adults enjoyed the skit of “Krishna provides” and “Thenali.” Sri Poornimaji spoke on the importance of building the inner strength in modern times for children. 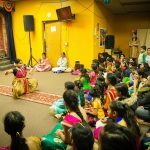 She emphasized how “satsang” nurtures the inner strength and enable kids to develop a positive outlook towards life. 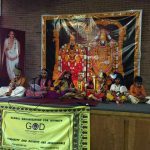 Next in event, was the performance by Gopakuteeram kids.More than 30 Gopakuteeram kids, sang “Hanuman chalisa” and “Namachar Bazaar” abhang. 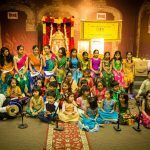 It was melodies to hear all these young Panduranga baktas sing the lovely abhang. 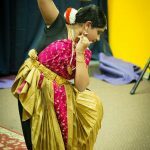 Following the kid’s recital, Sanjana Anand, daughter of a satsang member, performed Bharatanatyam dance. 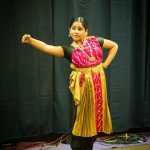 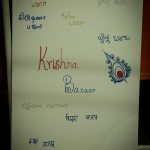 Sanjana Anand is a student of Arpan arts. 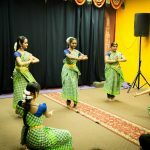 Arpan is a performing arts organization that is dedicated to the promotion of Folk and Classical traditions of India especially Mohiniyattam and Bharatanatyam. 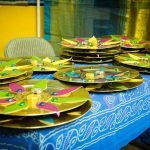 “Nama Bank”: A novel idea, to encourage kids to chant NAMA.Each gopakuteeram kid was given a “Nama Bank” (similar to the piggy bank) and “Nama Sakthi” (Similar to Dollar bill). 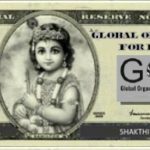 Every time the kid chants NAMA 11 times, the kid will put one “Nama Sakthi.” into the bank. 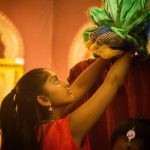 After it reaches certain count, kids can exchange for gifts during Gopakuteeram.